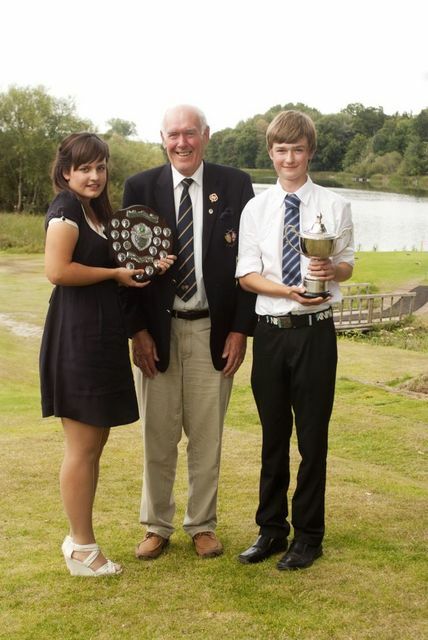 S & H mixed Team that played Worcs at Cleobury Mortimer GC. 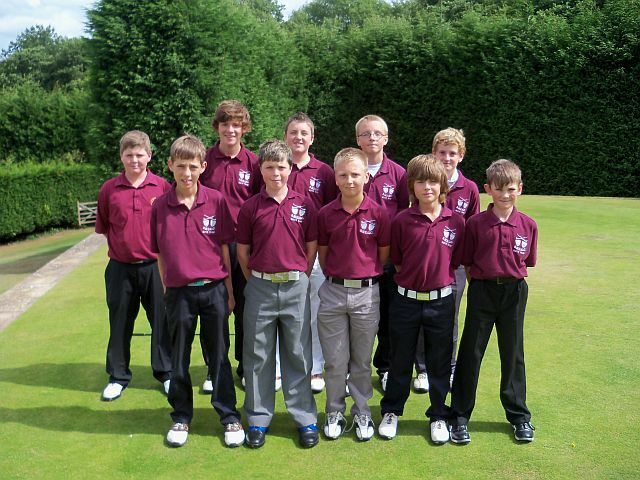 With Balls moving on the greens, Bags & Trolleys being blown over the Church Stretton Seniors & County u14’s battled their way around the CS golf course. 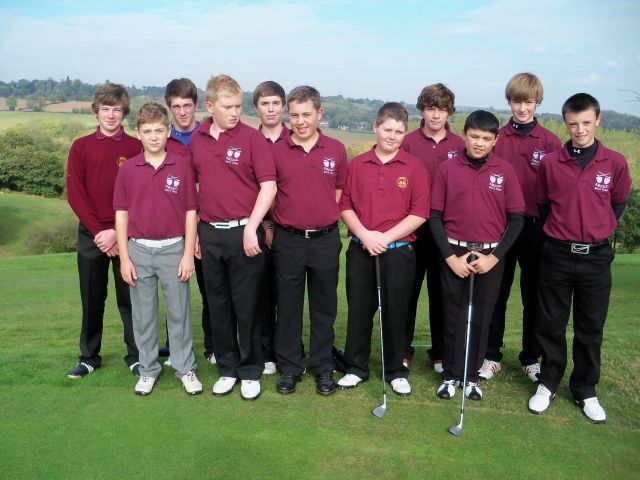 Gale Force winds meant it was more like being on a survival course!! 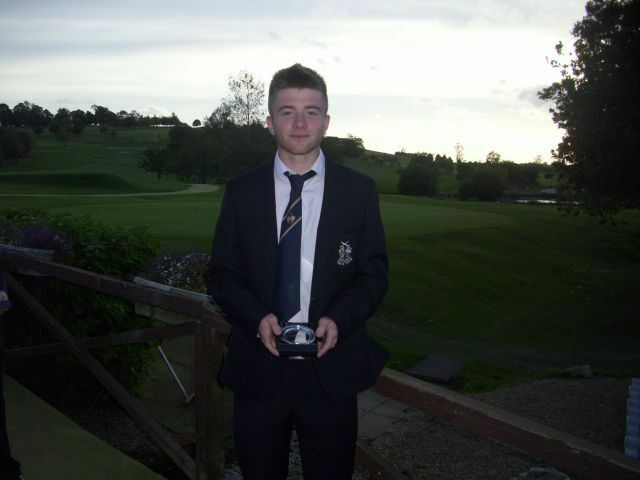 The game fittingly was halved 2.5pts - 2.5pts. 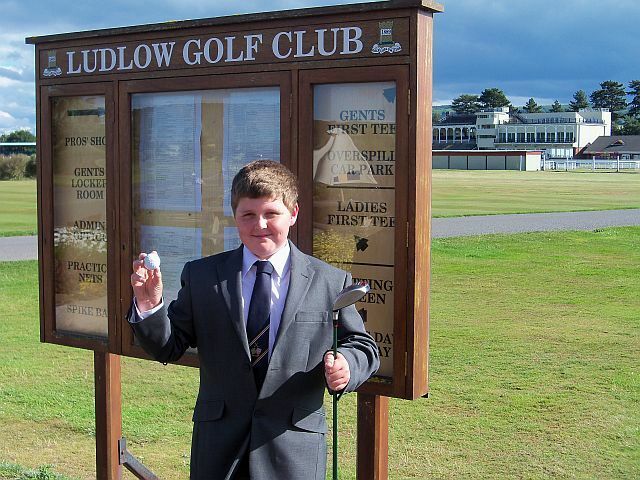 Jack Bishop, Patshull Park, Hole in One at Boys C’ships at Ludlow 17th Hole 182 yds. 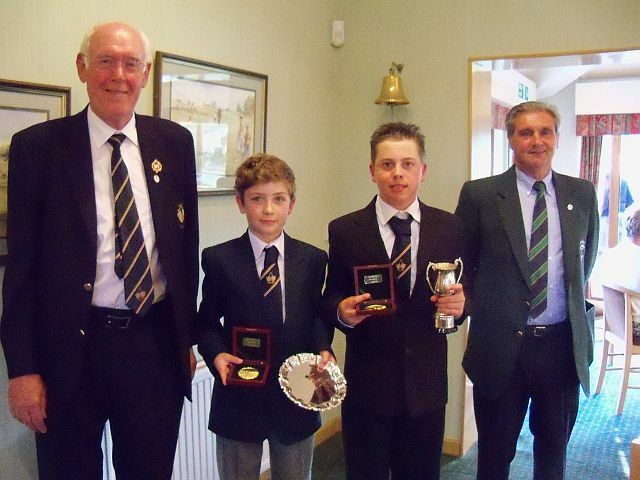 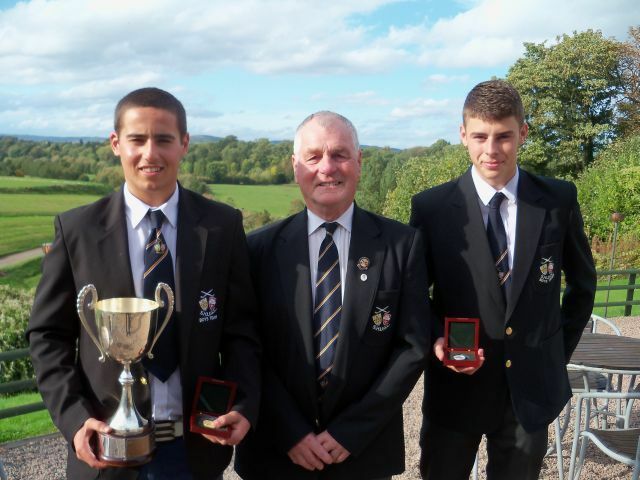 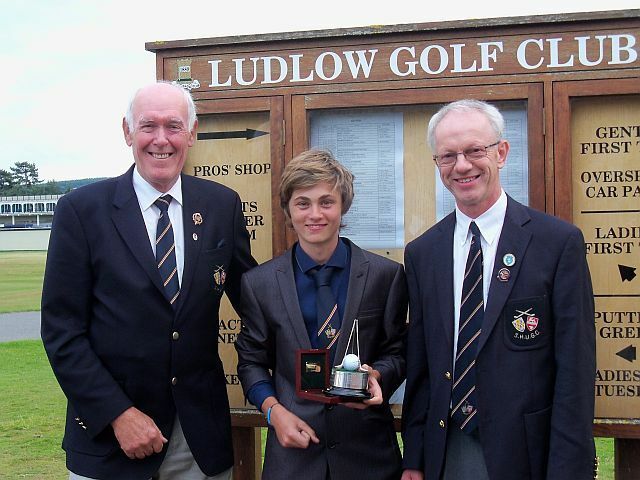 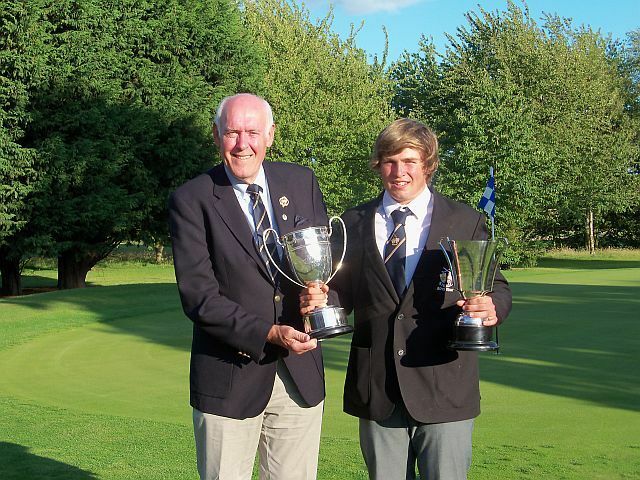 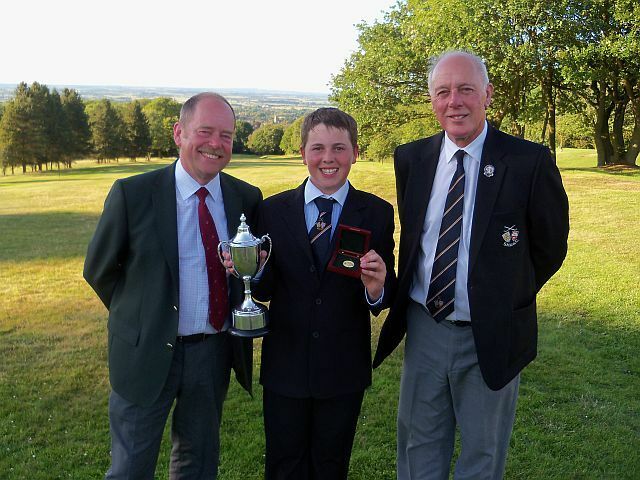 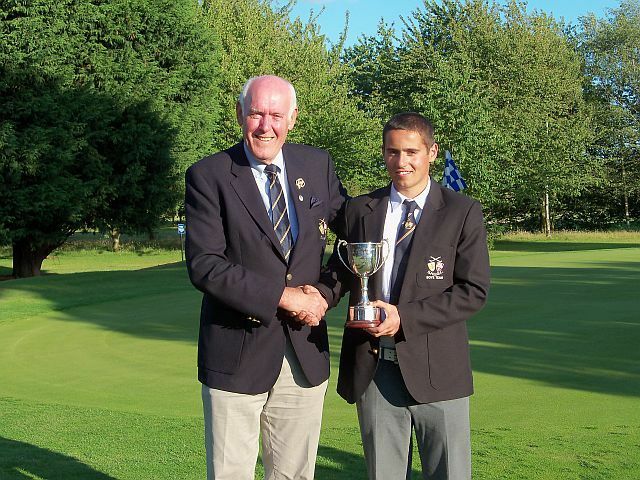 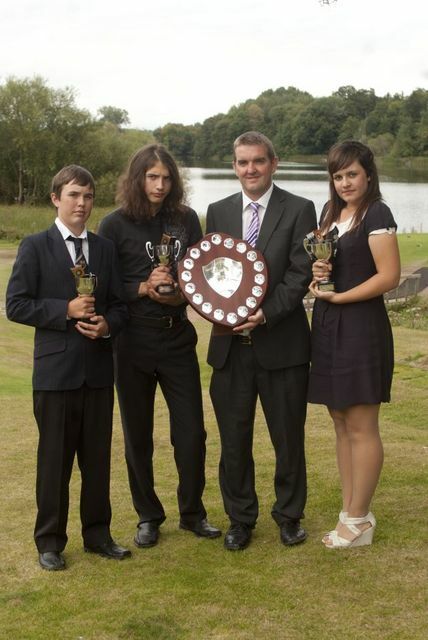 Harry Burt Youths Champion 2011 with Wrekin Captain David Bell & Pres Elect Mike Roberts. 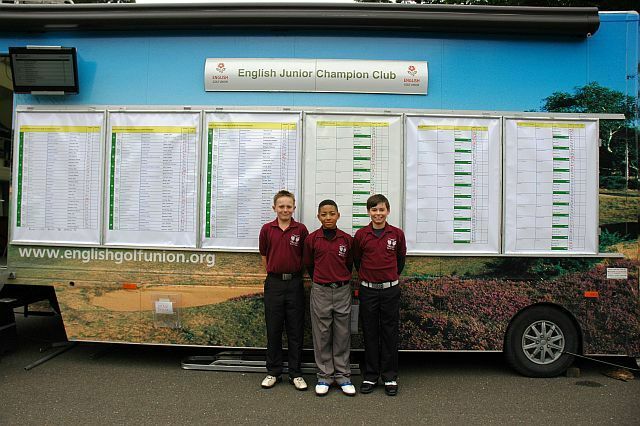 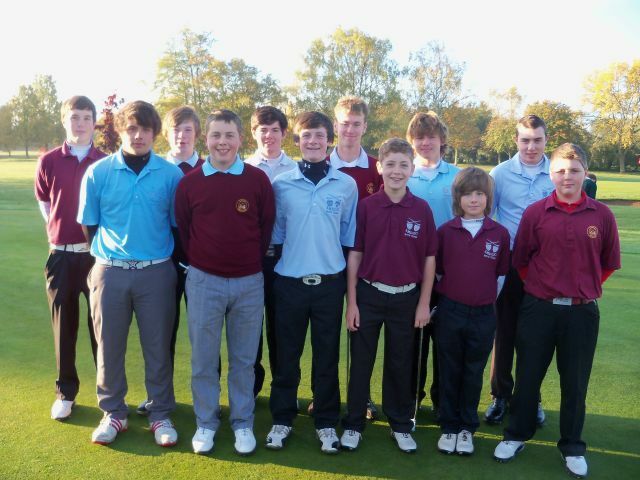 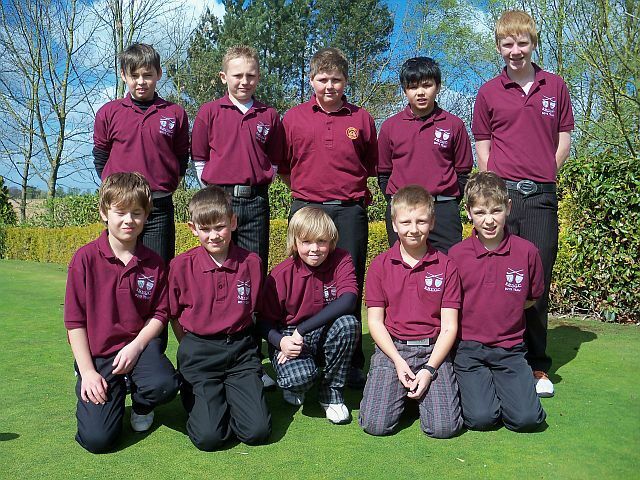 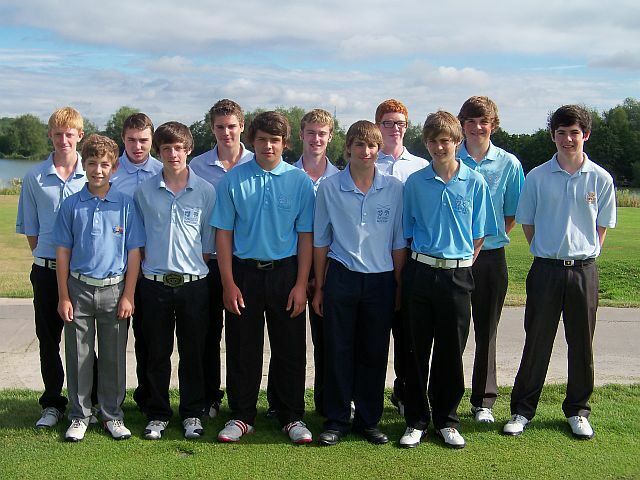 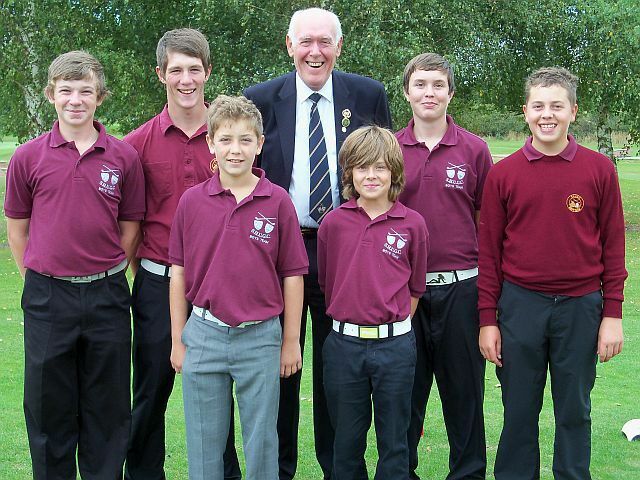 S & H won 4 – 2.
u16’s /u14’s get together at Broughton Heath GC. 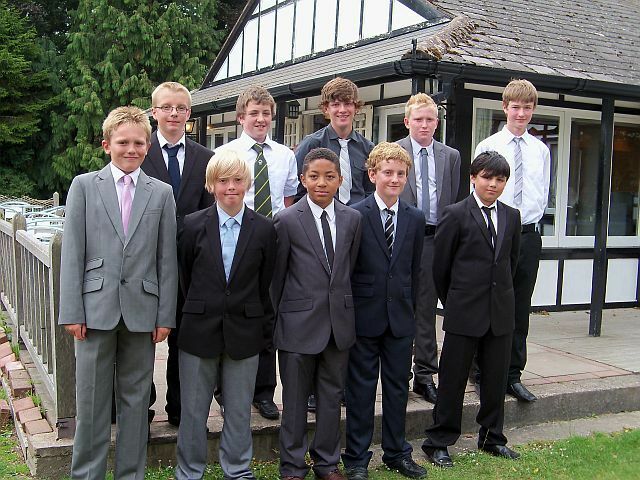 Boys winning 4 – 1. 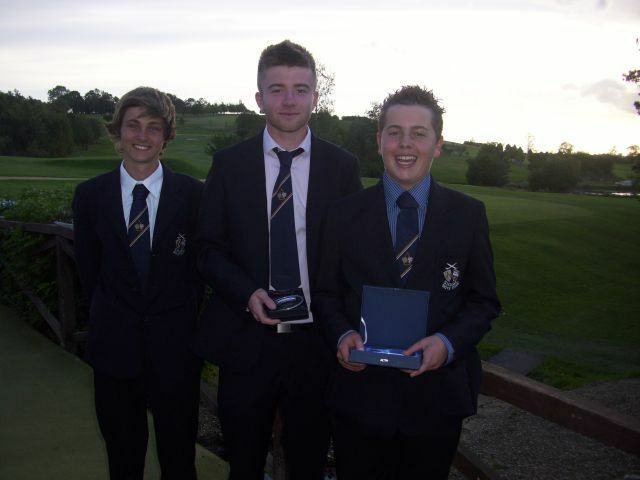 Nick Jones, Harry Riley & Ed Tranter. 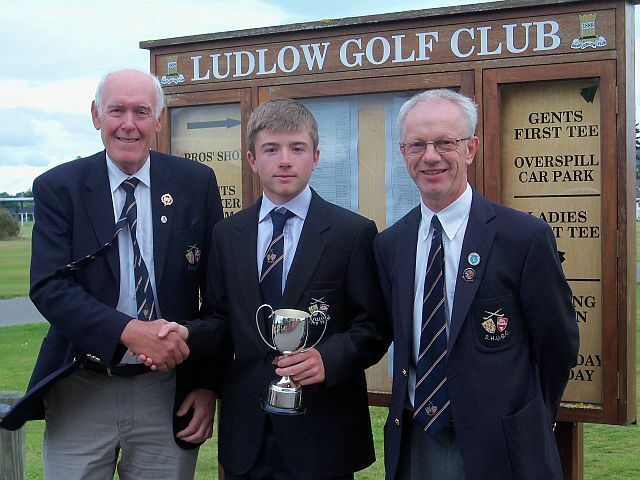 & Charles Lewis Team Trophy. 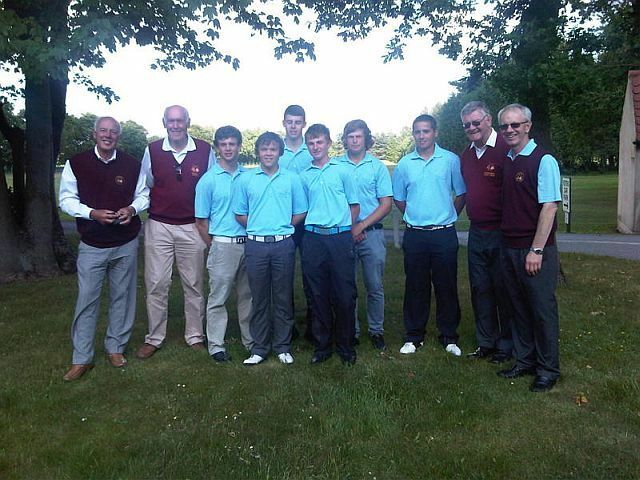 In the team trophy Horsehay GC were 3rd on 305, In 2nd place were Hawkstone Park on 298 with the winners Lilleshall Hall on 295. 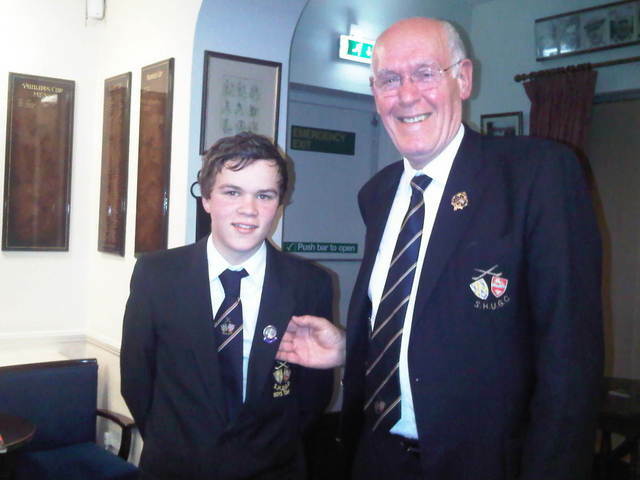 County President Roger Elston presented Edward Tranter Lilleshall Hall with his boys Captains badge for 2011. 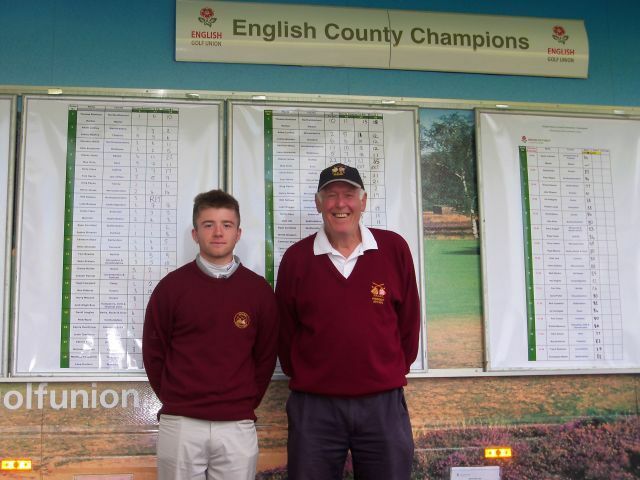 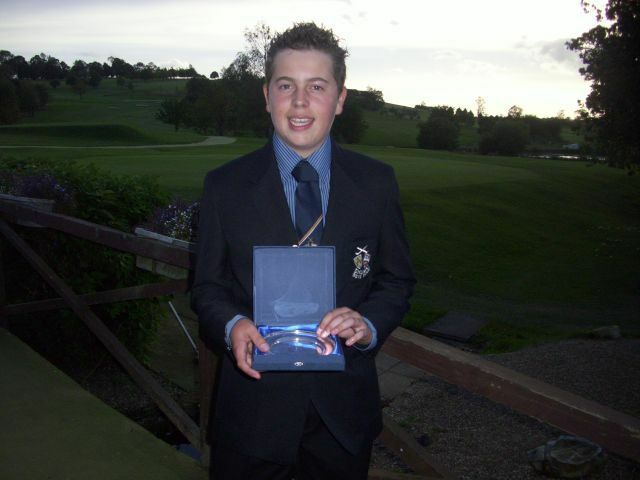 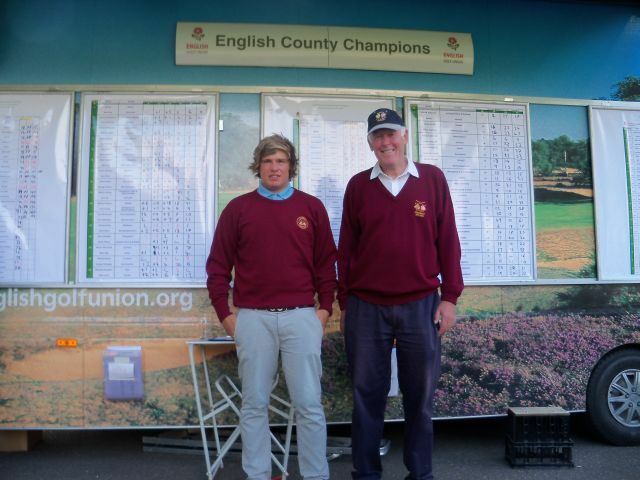 Ed has played at all ages for the County starting on the Peewee Tour. 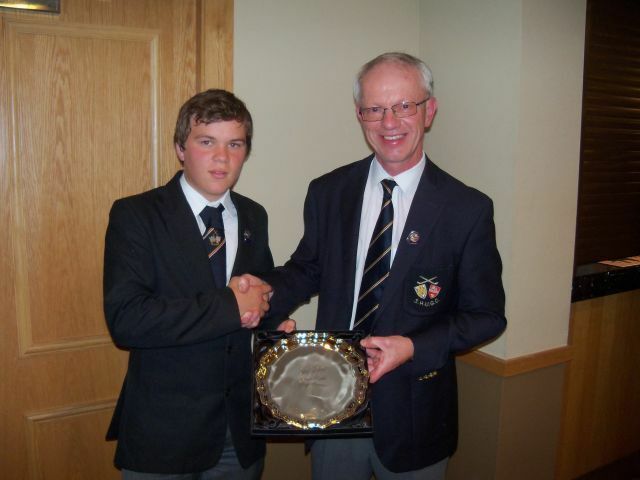 We wish him a very successful year as Captain. 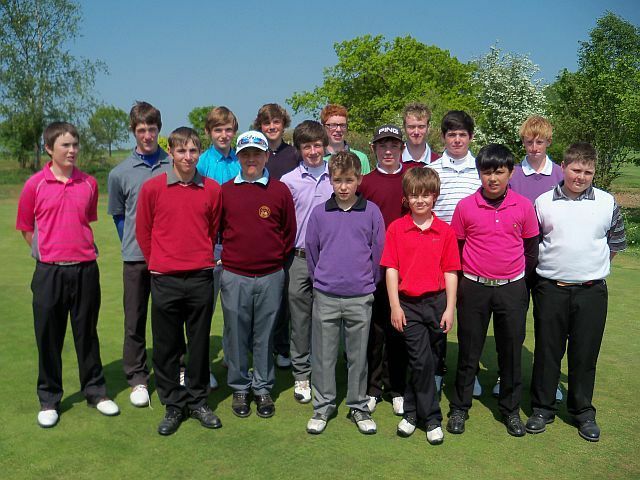 Junior squad with coaches Jason Davies & Michael Welch. 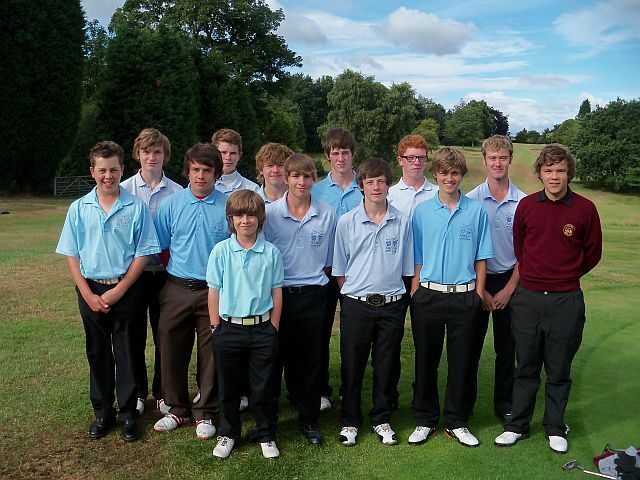 of long & short game. 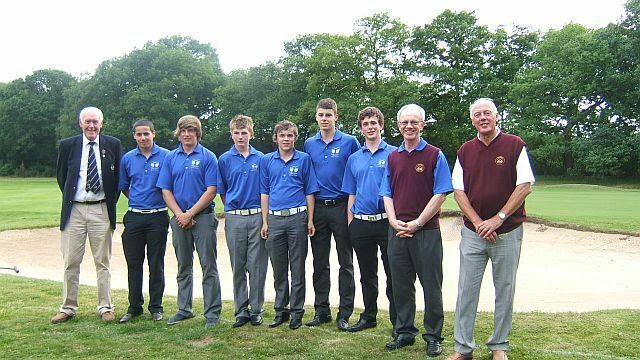 defeated a Shropshire Girls Team 4-0 in this annual match at Oswestry GC. 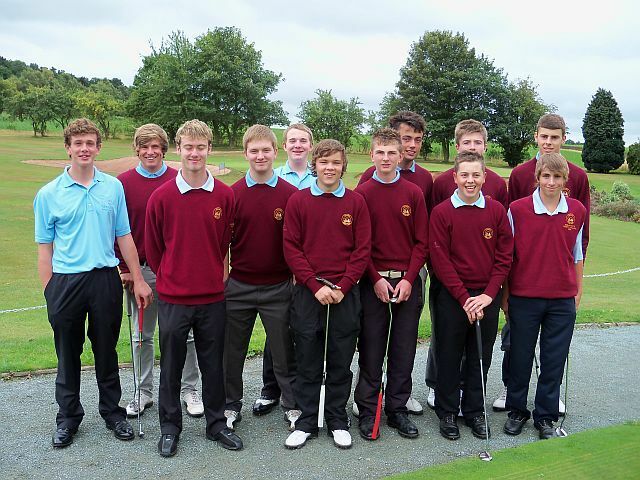 A good win for the boys,well played.